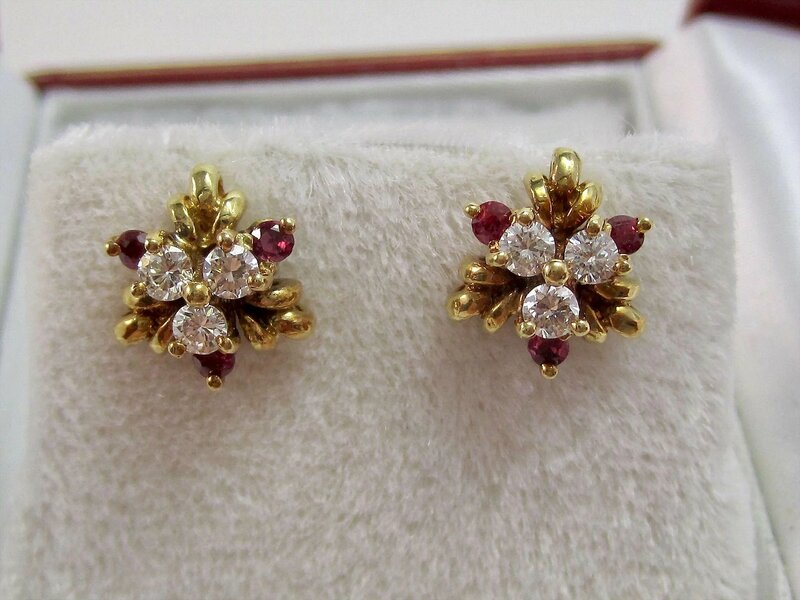 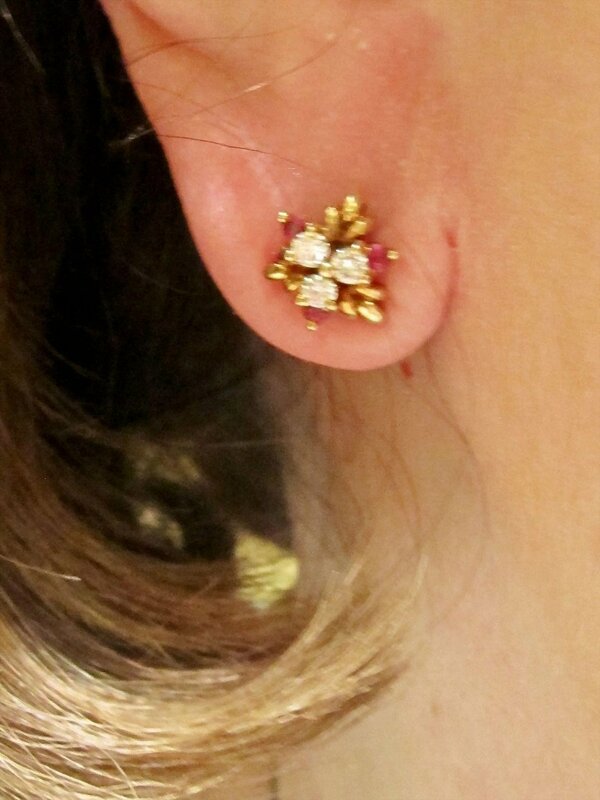 What darling natural red ruby & diamond stud earrings these are. 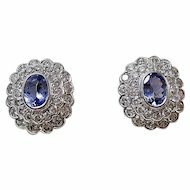 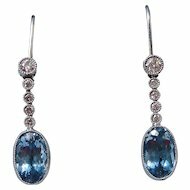 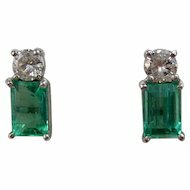 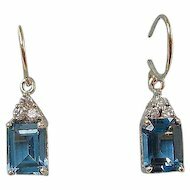 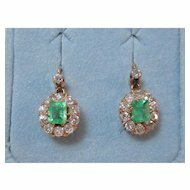 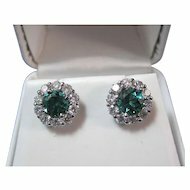 They are perfection for your wedding day, as birthstone earrings to wear each and every day, and will carry you from morning until your evenings out, no matter what the occasion. 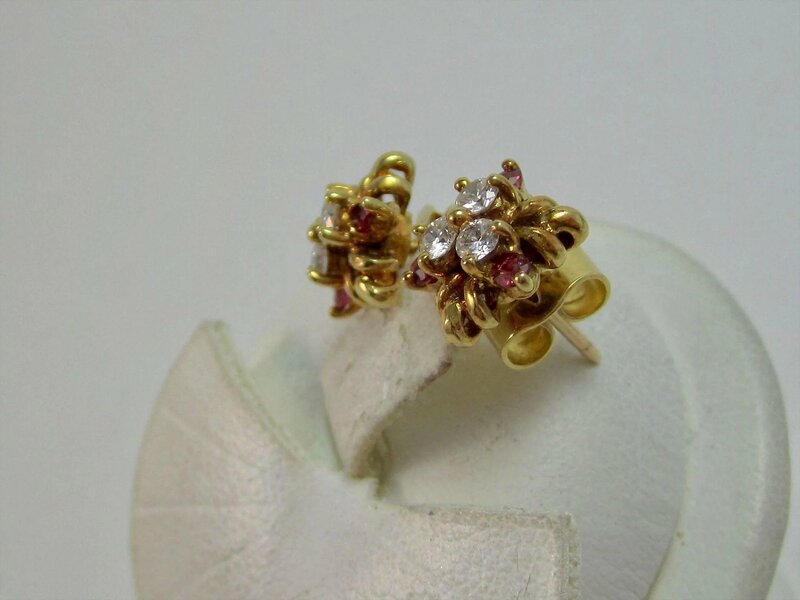 I adore the gorgeous rubies & the exquisite brilliant cut diamonds with stunning VS clarity. 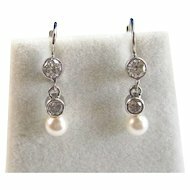 These are very white, very sparkly diamonds! 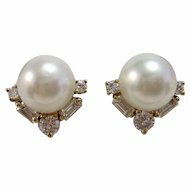 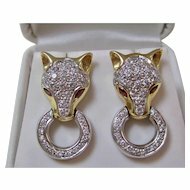 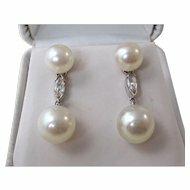 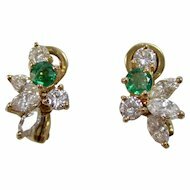 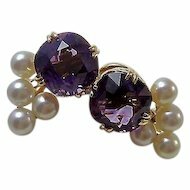 What a fabulous pair of earrings you can enjoy for many years to come. 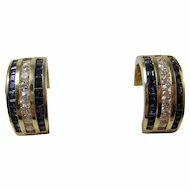 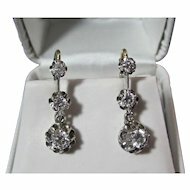 There are six prong set round brilliant cut diamonds, set in the center of the earrings, with near colorless G-H color, bright stunning VS1 clarity, with a very good cut. 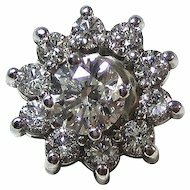 The total weight of the diamonds is approximately 34/100 of a carat. 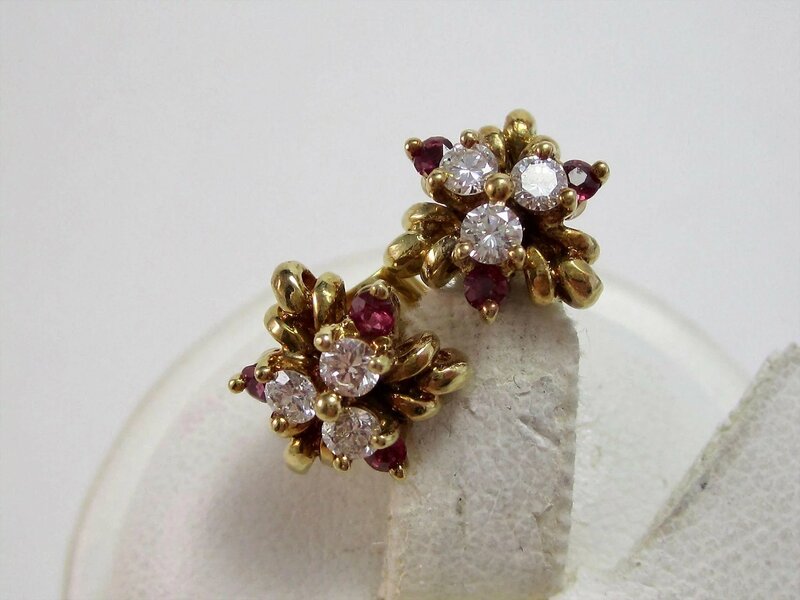 Opposite each diamond are six prong set round brilliant cut natural rubies, with medium dark saturation, with a strong deep red color, with a good cut. 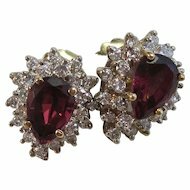 The rubies weigh approximately 24/100 of a carat. 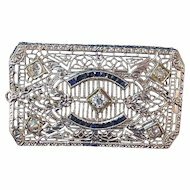 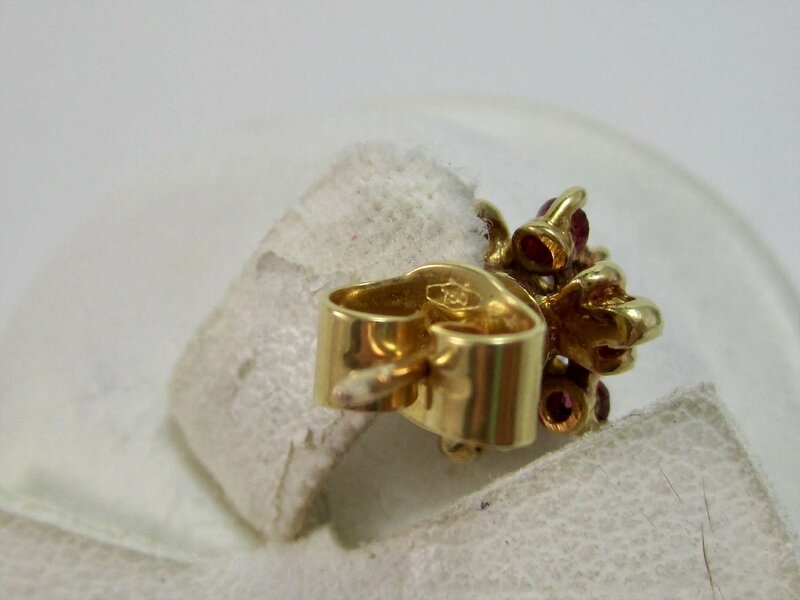 The diamonds are set at the highest level, the rubies a level below, and nine gold bars or leaves are set below and in between the rubies.......very lovely! 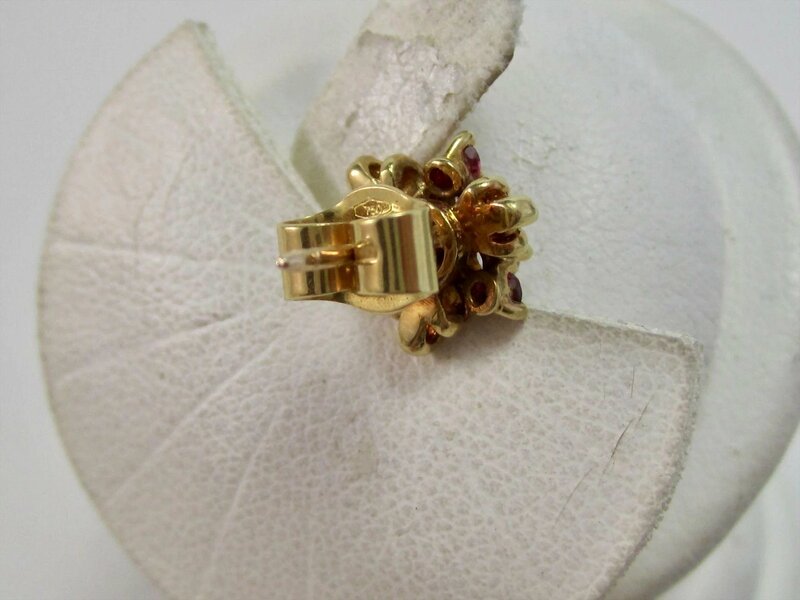 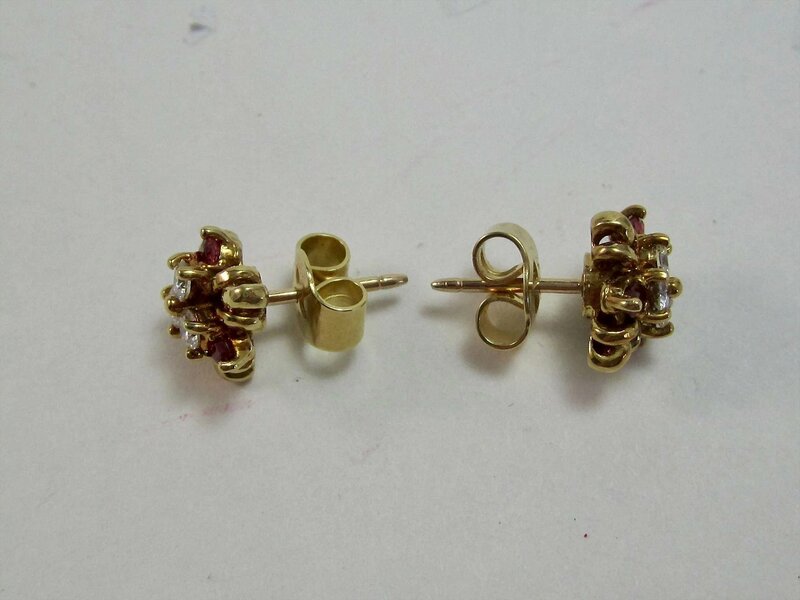 The earrings are set in a pair of stamped & tested 18K yellow gold setting, meaning they have 75% fineness of pure gold. 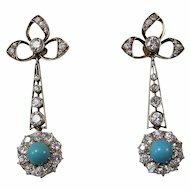 The earrings measure 3/8ths of an inch from top to bottom, and 3/8ths of an inch from east to west.